For more Weekly Photo Challenge: Grid click here. Not being a cigar smoker, I don’t fully appreciate the culture of cigar smoking but I do have a relative that does. I thought I’d see if I could take a cigar (in this case, one that was made in the Dominican Republic) and make a ball point pen out of it by turning the cigar on a lathe. In order to accomplish this, I considered two alternatives; stabilize the cigar with some kind of resin or grind up the cigar and mix it with a resin to cast a pen blank. 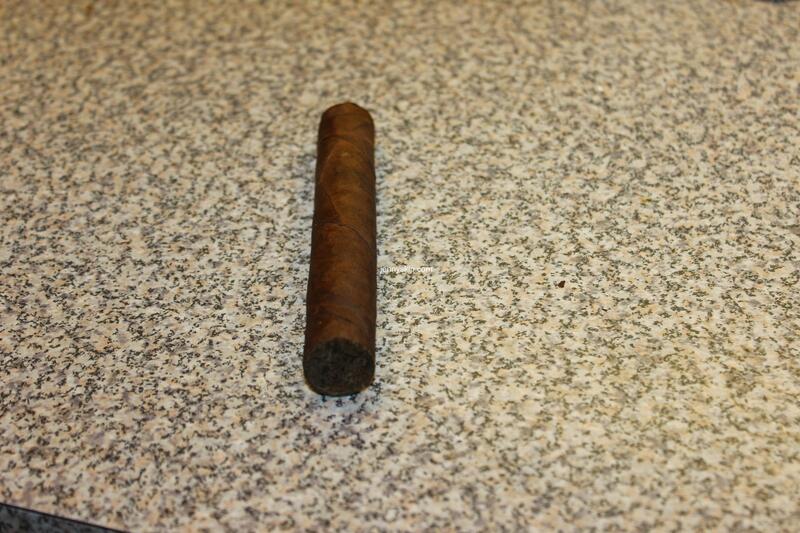 The option I chose was to stabilize the cigar with resin and use the stabilized cigar as a pen blank. As I prepared for this project I couldn’t help but reflect on the memorable times my family spent visiting Ybor City near Tampa, Florida and eating dinner at the Las Novedades or Columbia restaurants. I can remember the waiters having fun with my brother and me by seeing just how much Cuban bread we could eat at one sitting. I can still remember how fantastic that bread tasted once we had lathered it up with (what seemed like) a pound of butter! The history in this area is steeped in the manufacture of cigars. I learned that in the cigar factories, a hundred or more (it seemed like that to a 10 year old) Cuban immigrants sat at tables rolling cigars while a man sat at a lectern in the middle of the room reading aloud articles from the newspaper. Ybor City’s cigar history goes back to the 1880’s. By the 1930’s there were 150 cigar factories in this area and Tampa was referred to the Cigar Capital of the World. For more history of this era of cigar manufacturing visit Save Cigar City’s page. Taking the cigar, I used the pen kit tubes for the Roadster pen to measure off the lengths of cigar I needed for the pen parts. Note: If you go to the Craft Supplies web site to check out the link, you may see another link for a “Cigar Pen” kit, too. 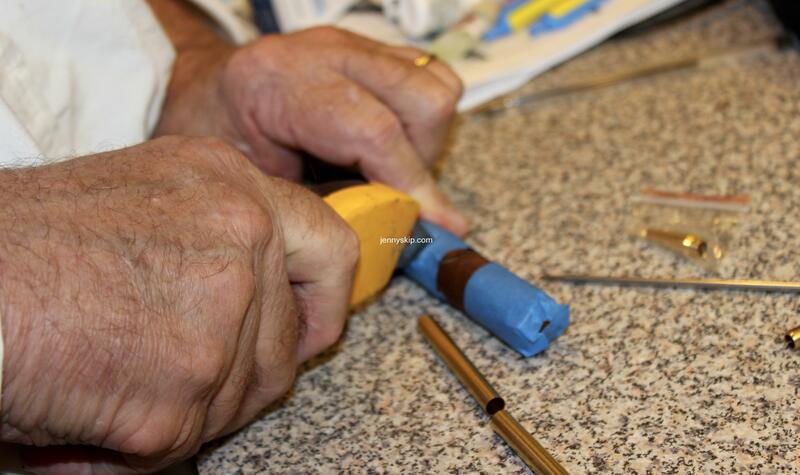 But don’t be fooled, that kit is for making a pen that faintly resembles the shape of a cigar, not a pen from a real cigar like we’re making here! 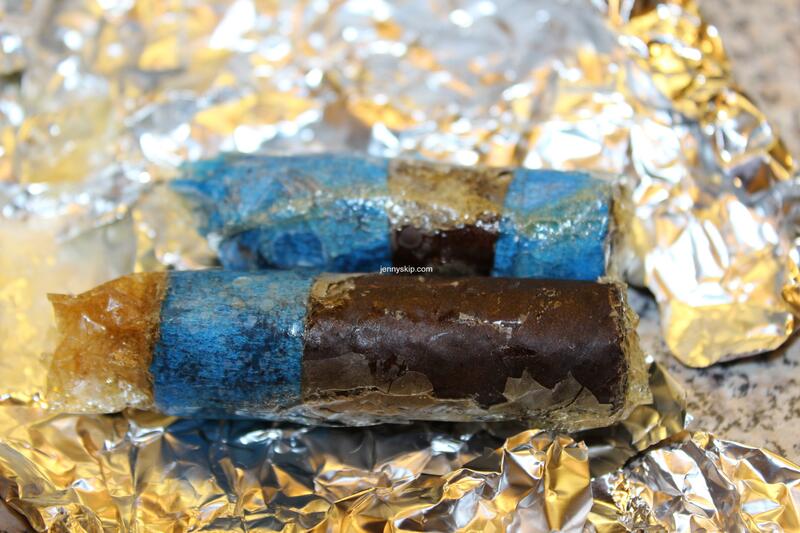 I wrapped the cigar at the cut point with blue painters tape to help support the cigar when I cut it into two parts. 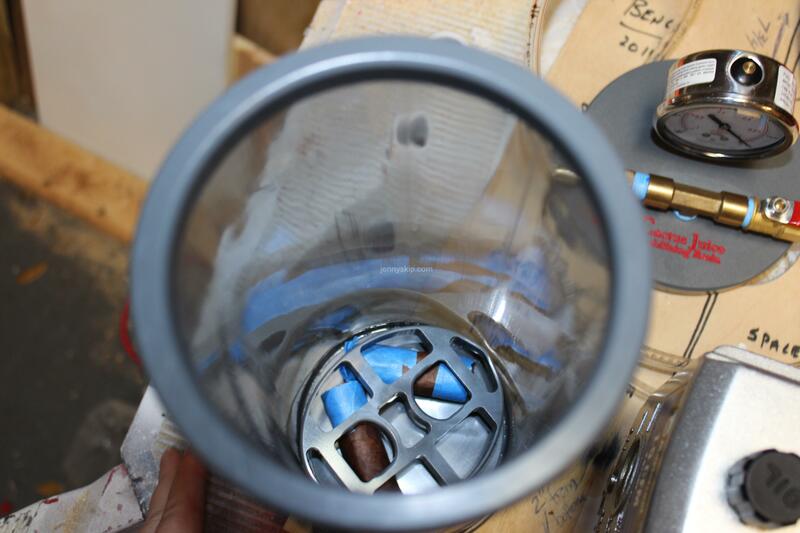 The two cigar sections were then placed in a Turn Tex Woodworks Juiceproof vacuum chamber for the stabilization process. 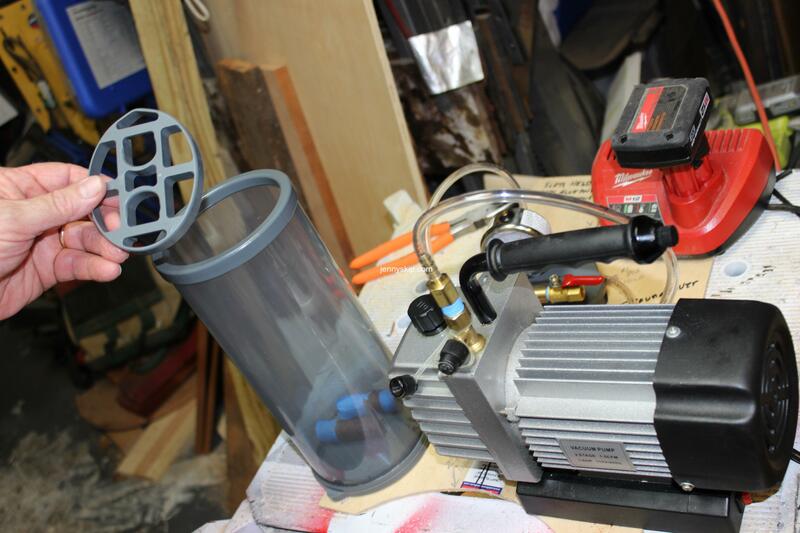 The chamber was supplied with a plastic grid called a pressure fit submersion plate that can be used to anchor the cigar parts in the chamber when the Cactus Juice is added. Enough of the Cactus Juice is added to completely cover the cigar parts with an additional inch or so to allow for the Cactus Juice to ultimately be absorbed by the cigar parts. 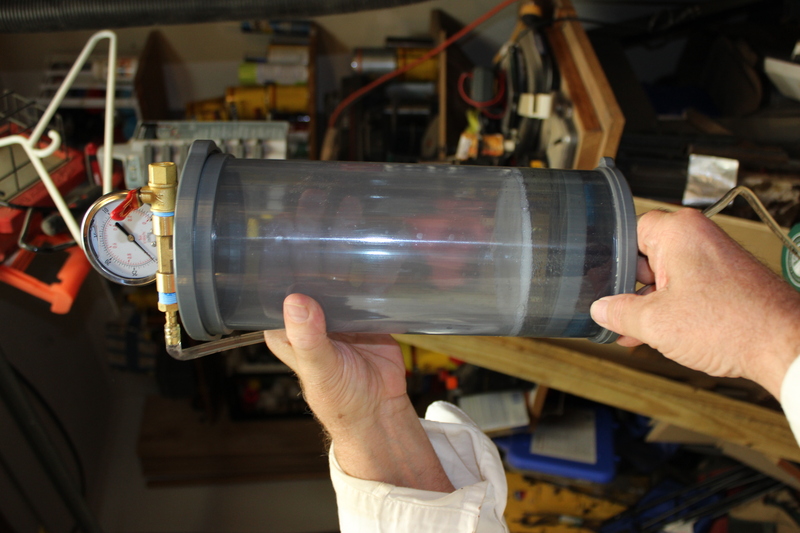 The lid is then placed on the chamber and the chamber is connected to a vacuum pump. 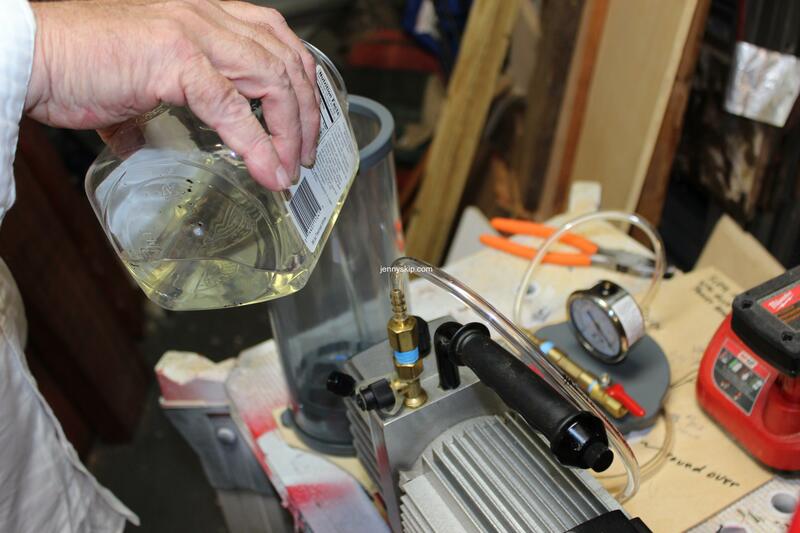 As the vacuum pump runs, it evacuates air from the chamber and the voids of the cigar parts. As the air leaves the voids, you can see the Cactus Juice “boil” as the air bubbles up through the resin. After about 20 minutes, the bubbles stop, indicating that most of the air has been removed from the cigar samples. The vacuum is then released and the cigar parts are allowed to soak in the Cactus Juice for about 20 minutes. 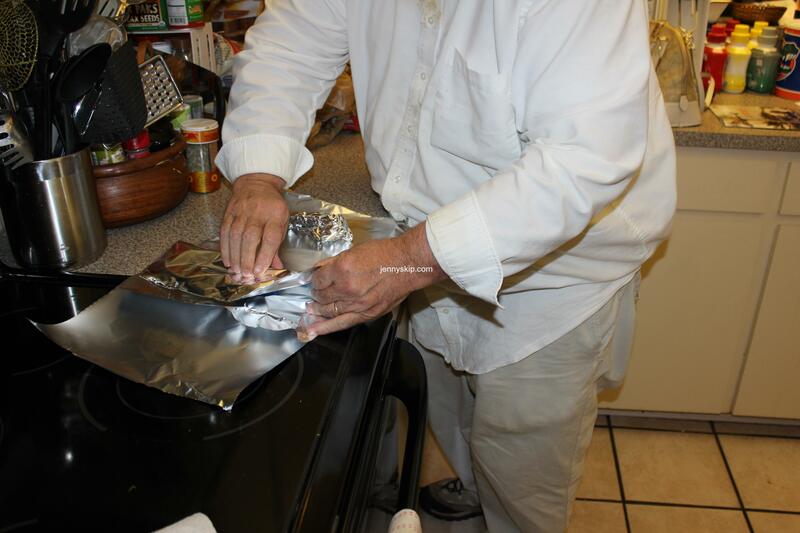 Following this soaking period, the cigar parts are wrapped individually in aluminum foil and then baked at 220 degrees F for two hours. Well, you did have a grid in all that. Nice job. It’s amazing how many grids there are around us. All we have to do is look for them. Thanks, Cris, I do like your grid, it looks amazing!